Asylum SE-510. 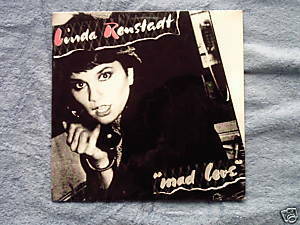 Mad Love 1980 LP versions of Elvis Costello's "Party Girl", "Girls Talk", "Talking In The Dark" and Neil Young's "Look Out For My Love", and three songs from The Cretones' first album "Thin Red Line. ;" also includes "Hurt So Bad" and "How Do I Make You". Sealed LP; cover with photos is VG with minor corner wear.